100% Caliiope sounds in all music and video. 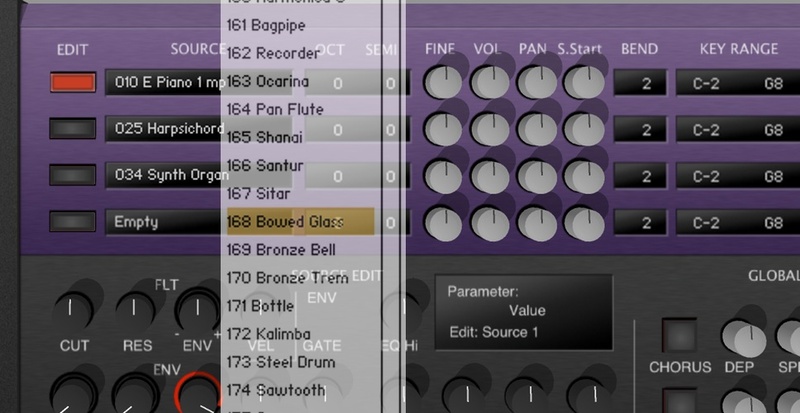 CALLIOPE is Universal Sound Module virtual instrument. It contains many instruments for all musical genres like a hardware sound module, ROMpler or music workstation. There are over 1,000 preset sounds in these categories: Keyboard, Bass, Guitar, Lead, Brass, Wind, String, Pad, Synth, Percussion and Drum. Even if you are not KONTAKT user, everyone can use CALLIOPE & its all functions by free KONTAKT PLAYER. Real instruments and strong personality synth alone would not mix easily and naturally in music. Well-made Sound Module PCM sounds will be mixed well in places or in total sounds. 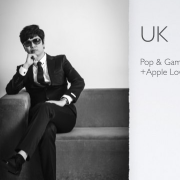 Moreover, can be used like as music workstation on the mobile environment because can play all-round player role. Natural Harmonic Crossfade Loop (NHCL™) technology is to adjust accurate looping point on the recorded samples for natural harmonic. We applied this NHCL technology, CALLIOPE can be played natural and real sounds although its sample size is smaller than other tens of GB size products. 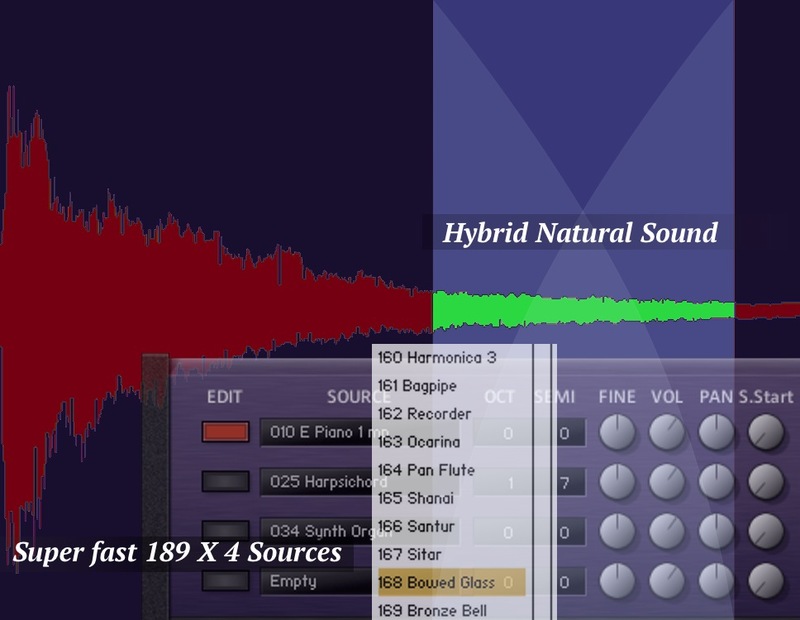 We claims to support Hybrid Natural Sound. This has taken all the good point of real instruments and sound module, so CALLIOPE will be mixed well naturally in enire sounds of your project. Along with good point of this sound, small size virtual instrument by NHCL accomplished to load preset sound more quickly and has become convenient. 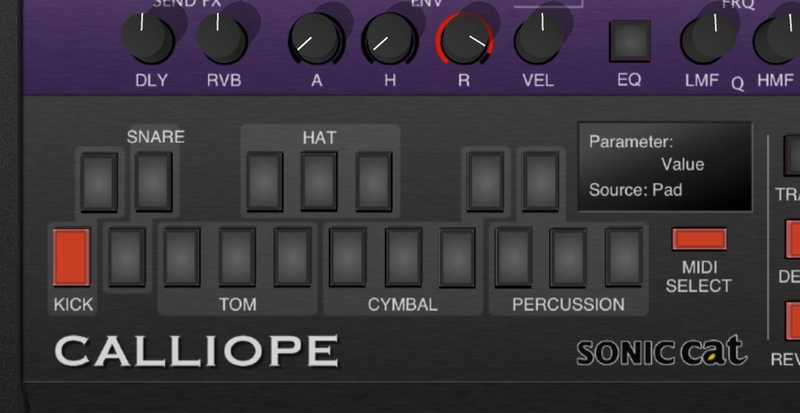 CALLIOPE’s two seperated modules were designed to express strong features of synth and drums. Synth module, by quad engine which is possible quad samples mixing, has melodic instruments as piano, guitar and synth. Drum module has percussive instrument kits with 18 pads, and can combine as various kits. Easy and simple UI will help to make your own sounds. 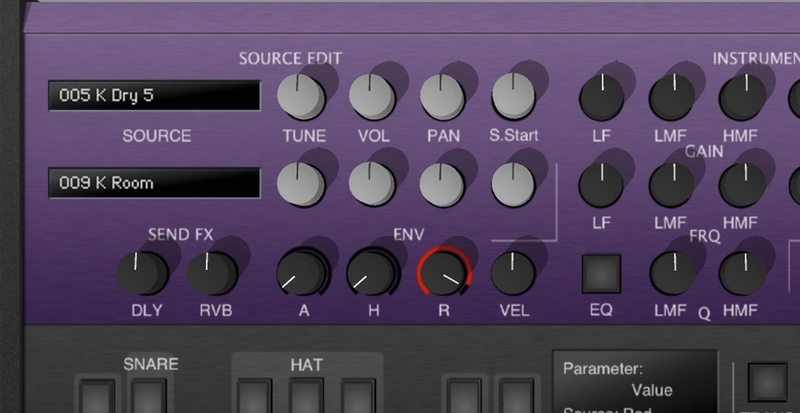 Synth Module can blend up to 4 sound sources, can make various and beautiful sounds. 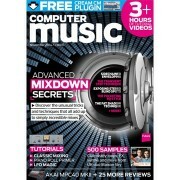 It can edit independently each source and can mix each volume and pan. Because all sources was processed by NHCL, 189 sound sources can be loaded super fast on each engine. For more powerful rhythm in rock or dance music, you can often make strong kick & snare by special mixing techniques. CALLIOPE’s drum module can make easy powerful kick & snare by doubling. So you can make powerful and special rhythm. You can make your own various rhythm sets by 18 pads. This system can change each drum (kick, snare, tom, hat and cymbal) by musical genre and style. In addition, it can construct you want percussions end of drum kit. You can multi channel set as music workstation by only one KONTAKT / KONTAKT PLAYER loading in sequencer. 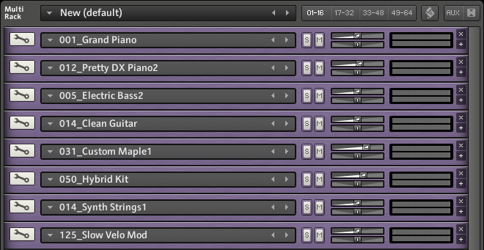 From piano track to drum track, do sequencing easy and convenient after make channels as needed. A “universal sound module” for Kontakt 5 and Kontakt Player in the spirit of hardware ROMplers by Roland, Korg and others. With over 1000 basses, keyboards, guitars, winds, brasses, strings, pads, synths, drums and percussion squeezed into its 820MB soundbank, Calliope doesn’t fall short on preset count, and you can stack up to four sounds in a patch. Sonically, it’s not too shabby for a small-footprint workstation, but the ‘real’ instruments suffer from that artificial ‘GM’ sound and feel, and the synthesised material isn’t hugely compelling. A lot of ready-to-go instruments for the price, though! I listened to the demo songs of Calliope before use. If you check out the demo songs(they are too kind and honest) you can easily figure out Calliope. We are lacking all-in-one & hassle-free preset sounds but there’re a few new romplers in the market. Calliope is there just to use the preset sounds. The only downside is that Calliope has too many quality presets. As you know title of this product, Calliope was the best muse of epic poetry in Greek mythology. And here I could feel that they are proud of Calliope which is above the other instruments. When I’m working, Halion Sonic sounds were pity that they are all too much alike to each other, and Purity was pity that it is a little bit older. Calliope has become my super sub on hearing it’s sounds. I love its quad engine layering and I like also it has many cute sounds.